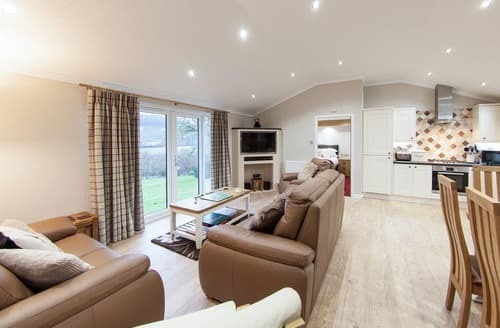 What our customers are saying about our Holiday Cottages In Warleggan To Rent. "Wow – S97131 is really different and very special, unlike anywhere else we've stayed. 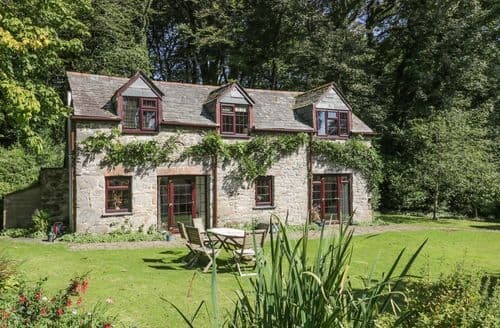 It is very 'genuine' - a beautiful flat in a gorgeous old and very romantic old rectory. The grounds are spectacular - far larger than we'd imagined. Full of tall beeches and bluebells, wonderful flower borders and lots of places to sit peacefully with the bistro set so kindly provided. 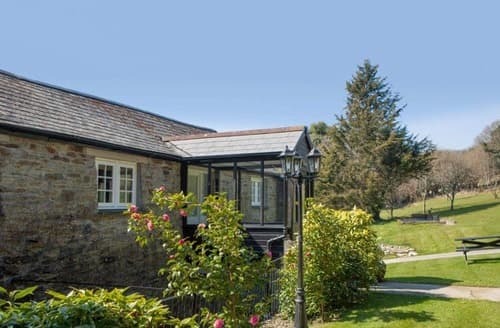 We loved how to get there we had to go up a delightful private wooded drive then the rectory suddenly appears bright and gleaming in acres of beautiful trees, lawns and flowers. 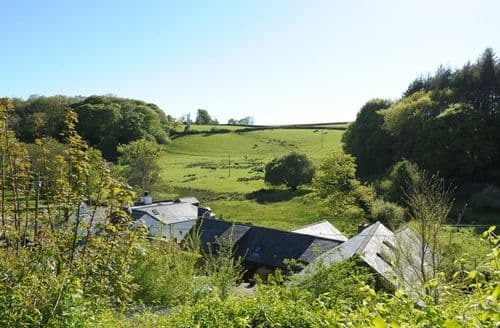 It is hard to explain how different it is - it is not 'touristy', it is not a barn conversion, it is just simply a lovely flat in a lovely building in lovely grounds filled with bird song. We loved touring Cornwall - particularly enjoyed Watergate Bay and the very nice shops in Truro, but we spent a lot of time exploring the moors and woods around Warleggan. It's great for walkers and our dogs were just mad with delight at all the magical scents. Great views, too. The postbox in the tiny charming village still has Victoria as the reigning queen embossed on it!! S97131 itself is so beautifully decorated with lots of original paintings and furnishings, and it is larger than we'd thought. It is very light and airy, gorgeous shower, and the kitchen is beautifully and thoughtfully equipped. What a charming place. THANK YOU! And we are definitely coming back next year!" 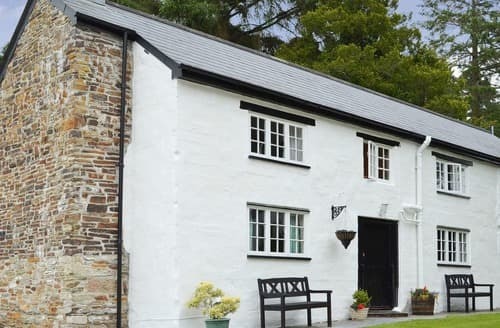 "It is very 'genuine' - a beautiful flat in a gorgeous old and very romantic old rectory. The grounds are spectacular - far larger than we'd imagined. Full of tall beeches and bluebells, wonderful flower borders and lots of places to sit peacefully with the bistro set so kindly provided. We loved how to get there we had to go up a delightful private wooded drive then the rectory suddenly appears bright and gleaming in acres of beautiful trees, lawns and flowers. 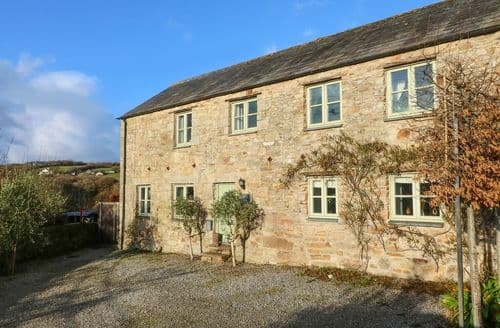 It is hard to explain how different it is - it is not 'touristy', it is not a barn conversion, it is just simply a lovely flat in a lovely building in lovely grounds filled with bird song. We loved touring Cornwall - particularly enjoyed Watergate Bay and the very nice shops in Truro, but we spent a lot of time exploring the moors and woods around Warleggan. It's great for walkers and our dogs were just mad with delight at all the magical scents. Great views, too. The postbox in the tiny charming village still has Victoria as the reigning queen embossed on it!! S97131 itself is so beautifully decorated with lots of original paintings and furnishings, and it is larger than we'd thought. It is very light and airy, gorgeous shower, and the kitchen is beautifully and thoughtfully equipped. What a charming place. THANK YOU! And we are definitely coming back next year!" 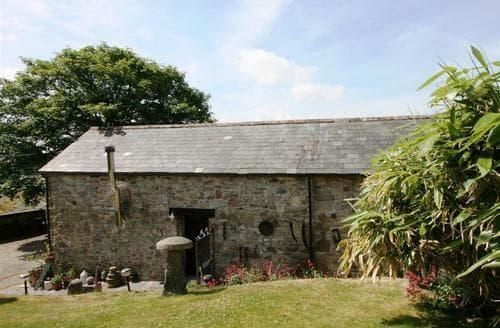 "My stay at S97131 was courtesy of the Bodmin Moor Poetry Festival and the Roger and Laura Farnworth Arts Residency. S97131 proved the perfect place to write. 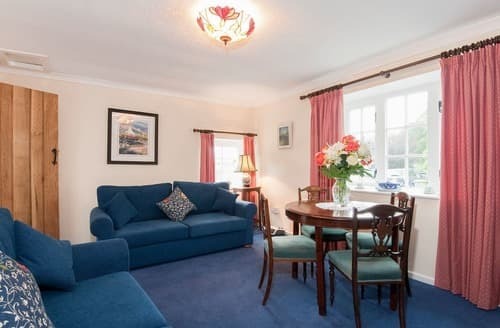 The apartment was quiet and characterful, clean, comfortable and well-equipped, and the rectory gardens were lovely to explore. It’s a gentle walk from here up to Warleggan Down by the abandoned Wheal Whisper mine and beyond to Carburrow Tor and Colliford Lake. And you’re just a few miles south of the higher moors around Roughtor and Brown Willy or west of Minions and the popular Cheesewring. Bodmin Moor’s one of my favourite places – full of history and stories – so I was very happy here wandering and writing. Highly recommended." "Beautiful gardens outside and cosy comfort inside . We had a lovely week and would return another time for two weeks.We were impressed with the tranquility of the location. Yes there was the odd aircraft but there were little or no traffic for the period we stayed , there were no sounds of industry or passing emergency vehicles. 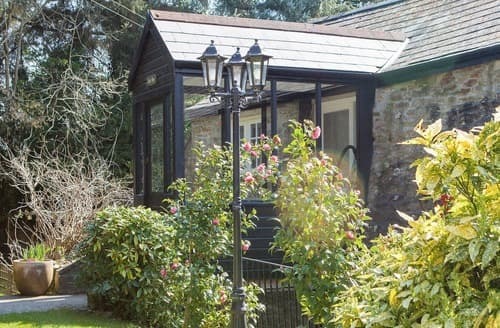 The only sound which was virtually heard for every daylight hour was that of the many wild birds which we could see in the grounds and surroundings of "S84046 Cottage". This atmosphere was the compelling reason we had to return this year. We were also grateful for the help and advice we were given by Geraldine who lived on the site in the "Rookery" nearby." 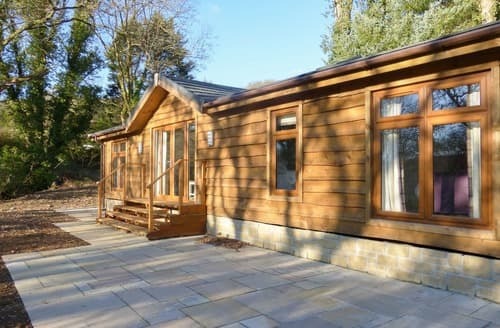 "A very nice place to stay, it is set in beautiful woodland, which is really tranquil & peaceful. There are nice lawned area's where you can relax, either in the warm sunshine or a nice shady corner. Geraldine the caretaker is a friendly, chatty lady, and helpful. 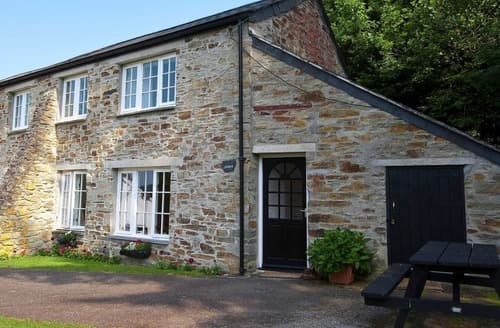 You are in easy reach of the north or south coast, with Bodmin moor on the doorstep.. The boat trip from Truro to Falmouth is a must. Lots of National trust proprties. 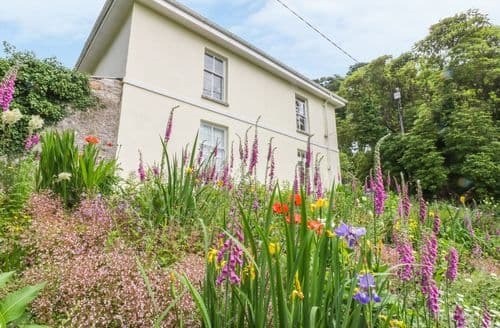 Stearts theatre at Upton Cross is another good place to go, it supports the local arts & young people, it use to be an open air theatre, but now has a covering for protection, a type ofMinack theatre on the edge of Bodmin moor."